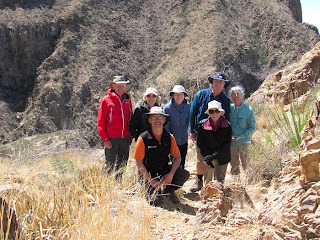 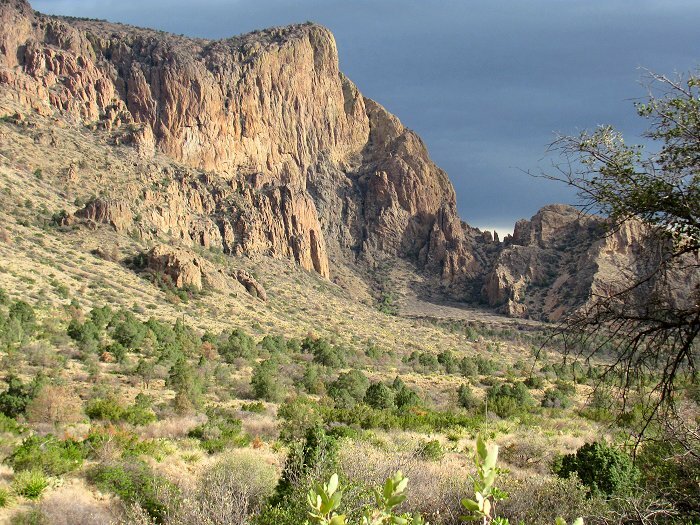 Left the Chisos Basin this morning by vehicle to drive around to the Sam Nail Ranch on the Ross Maxwell Scenic Drive from where we hiked back to the Chisos Mountains Lodge via the Oak Springs and Windows trails. 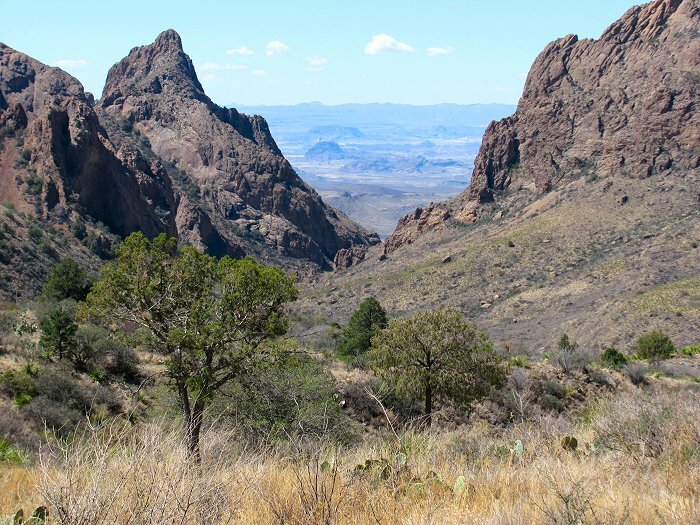 On the drive out of the Chisos Basin we were treated to this view of the Chisos Mountains in the morning sunshine. 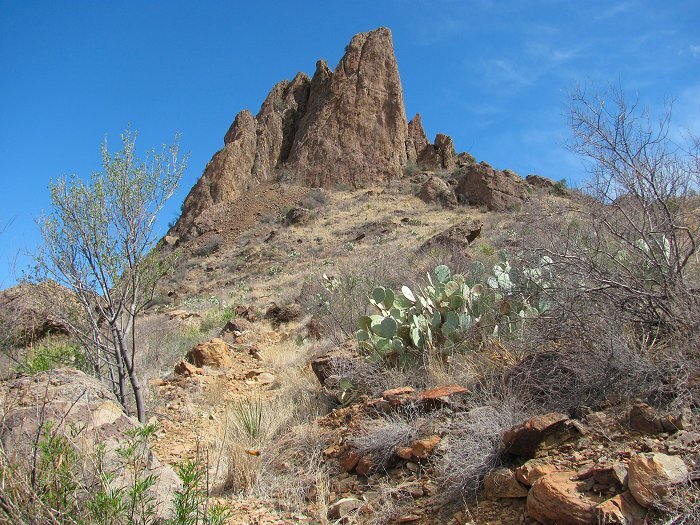 Rocky spire seen from the Oak Springs Trail. Ascending the Oak Springs Trail. The trail climbs in a series of switchbacks to a point above the Window then descends to meet the Window Trail above the Window "pour off." 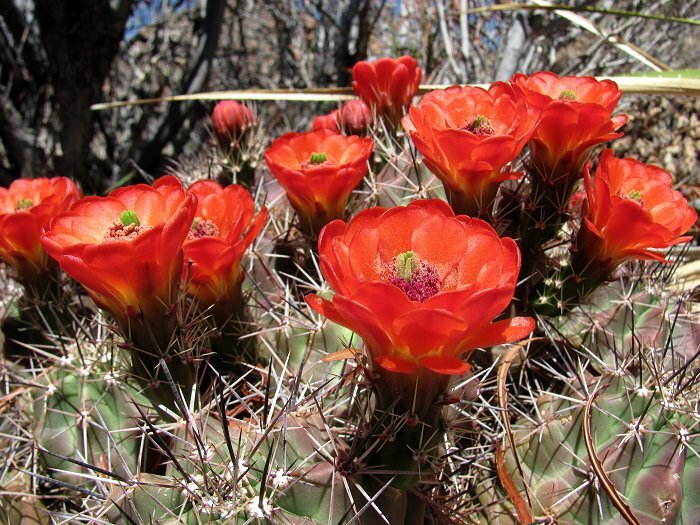 Claret cup cacti in bloom! 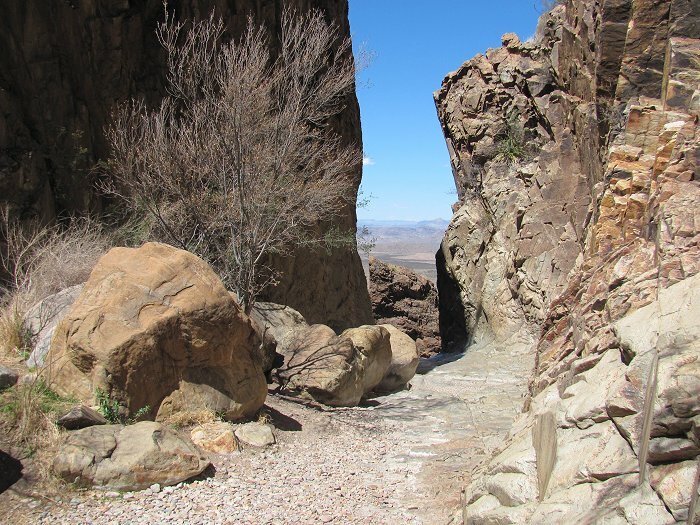 The Window "pour off." The waters draining the high Chisos Basin funnel through this narrow gap to drop to the desert flats below. The group at the Window. 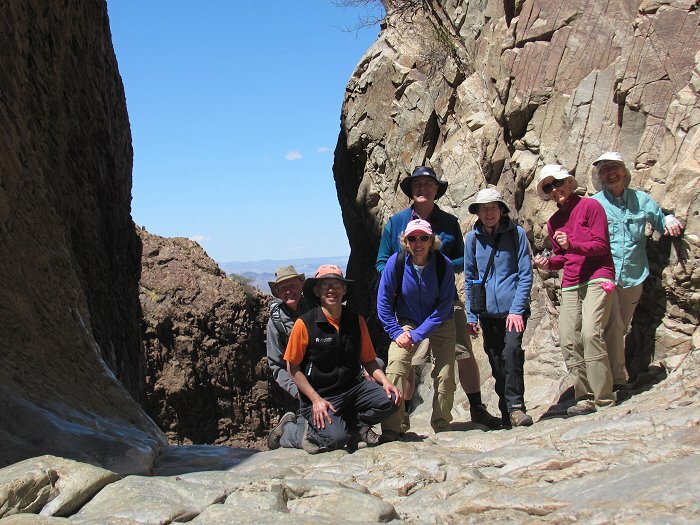 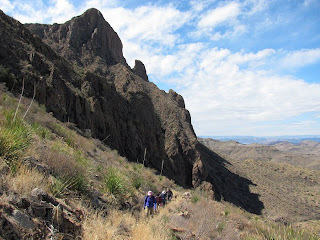 Looking back at the Window as we neared the end of the hike at the Chisos Mountains Lodge. About 7.5 miles and 2,000 feet of elevation gain today. 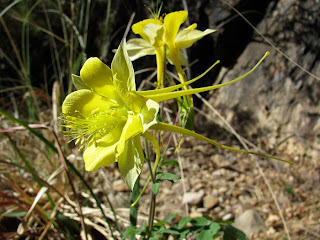 "Long-tailed" columbine at Cattail Falls.